Andre Dubus on tour for The Garden of Last Days. Event location: Off Square Books 129 Courthouse Sq. Andre Dubus reads from The Garden of Last Days. Magic Johnson promotes an untitled business book. ; Philippa Gregory promotes The Other Queen. ; Andre Dubus reads from The garden of last days : a novel. ; Alec Baldwin promotes A Promise To Ourselves: A Journey Through Divorce and Fatherhood. Andre Dubus's book Finding a Girl in America was available from LibraryThing Early Reviewers. 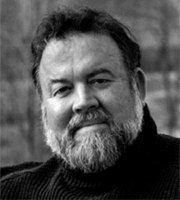 Andre Dubus is composed of 2 names. You can examine and separate out names.